Spring is here, and I am almost ready to depart with my “heavy” face creams and move on to lighter products. Naturally I have been locking for a face mask (it‘s no secret that I‘m very much obsessed) to bring into my spring routine – one that isn‘t too “heavy” and “fat” but rather gets absorbed quickly but still makes your skin looks luminous and smooth when you wake up. I like that the founders of Danish Beauté Pacifique are engineers and have a past working for the medical industry, I just simply can‘t imagine engineers things that would be crappy for your face. I also like that those same engineers develop medical equipment for diagnostics of skin diseases – which makes me feel that they are far more knowledgeable then the execs of some major skin care brands. And of course- as all of you know – I have a soft spot for smaller companies making their way in the beauty industry relying on the quality of their products rather then multibillions dollar ads. A tube lasts for years. Don‘t feel that calming effect which was promised to me. This overnight mask contains Buckbean and St. Paul’s Wort extract, lavender and camomile. It promises to reduce stressful looking lines and restore radiance. The Origins lady who sold it to me said that I would literally feel how I became more calm when putting on this mask. My verdict- I do not feel more relaxed or calm by the smell of this mask (it has a smell of a mix of the “typical” sweet Origins smell and lavender) and it is just not much better then a very fat creme. Basically this mask reminds a bit of the Origins Overnight mask. It is a very thick creme, which is good for hydrating your skin after a long day, since you use it overnight. But that is about it- next day my skin is smooth, but not much more fresh or radiant (maybe after 25 masks can‘t do that for you). A plus is that you need very little per use for this mask, so if you still consider getting it after reading it- split one package with a friend. See a difference after 10 minutes (no need to walk around wearing a mask half of your evening). Some parts of Europe suffer from heatwaves, my part of Europe is going through autumn. I am serious: it rains constantly and it is very cold. I have packed my sandels and summer dresses away and replaced them with cosy sweaters and tea. It is a bit sad to give up on summer before august has even come, therefore I am comforting myself with my favourite skin care obsession: masks. Those of you who have followed my beauty journey on this blog, know that I have an extensive collection of them and can never say no to a new purchase. 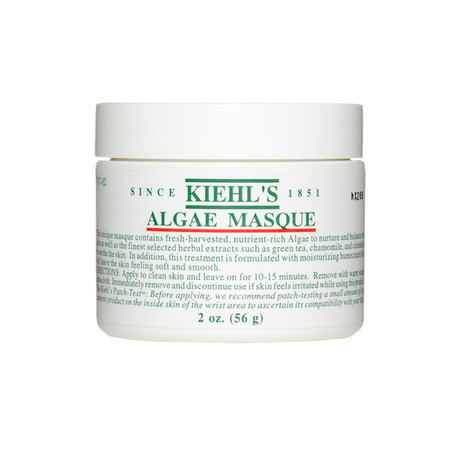 This mask from american Kiehls is a bit pricy, but It lasts for ages since you only need a small amount per application. What I really like about this mask is that you can see a difference already after ten minutes. So you do not have to walk around wearing it for ages (and pray for a result). It is sticky, but worth it. Also it contains Algae, Green tea, Calendula..all yummy ingredients for the skin. It promises to make your skin soft and smooth, and actually I think it keeps that promise well. My skin feels very hydrated after usage. As a conclusion this is a good long-term investment, it you can stand the stickiness. Extensive use of this mask really improved how my skin looks: smooth and soft, and no spots. It’s sticky and hard to wash off. Anybody who ever browsed through this blog knows that I have a hall of fame (and shame) of face masks. Like every proper kitchen cupboard should have some comfort food, every girls collection of beauty products should have a comfort cornor, mine is the shrine in my bathroom belonging to my face masks. Just like Kate Moss thinks when she is shopping for vintage “there is always room for more”, I think when I see a new face mask. Unhappy vallet equals happy readers, so I guess something good comes out of this. Now back to the mask: it has a gel like consistence, and is blue. It’s sticky and hard to get off. The brand recommends use of 5 minutes, I recommend 10, but don’t even bother leaving it on for longer, no difference in result. And don’t sleep in it (learn from my mistakes ok?). 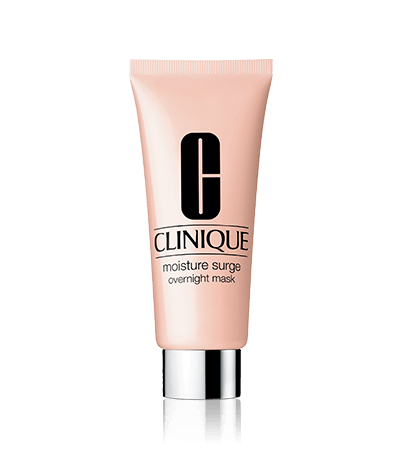 It promises to leave your skin smooth, hydrated and to delete dry lines (dry lines makes me associate with sleeping head down drunk and waking up with old make-up stale in your wrinkes, not sure that’s what Lancome meant). I used this mask religiously 3 times a week, and on the third week I finally started seeing the miracles: my skin did indeed become very nice, hydrated (the wrinkles still there though) and no pimples. It isn’t a budget choice, but you need very small amounts and I like that it’s a quick fix mask, 10 minutes and you can go and do better things with your life. The alluring gel texture of this mask makes you dream of loads of hydration. I see no difference before and after use. Another week another mask I have wasted my money on…This one started by having me at hello: I love gels, they just trick you thinking that gel equals hydration. This mask is no different: it is a gel, and it smells a bit of melon, what is not to like? But once you use it a couple of times you realise that yes – it makes you skin soft, but you still look just as tired before and after use. There is absolutely no difference in the appearance of your skin. Estee Lauder also promises a cooling and soothing sensation, for me the sensation was mostly sticky and disappointing. Yes it makes your skin soft. I don´t see any freshness or radiance. As you all know by now, I´m obsessed with masks and hydration. I think i’ve tried every mask out there made by the major brands, you name it -i’ve tried it. I have used this mask in two different time frames: immediately after I bought it about a year ago, my skin started breaking out, so I stopped. But since I still has the package, I wanted to try it again. This time my skin did not break out. The creams consistency is pretty heavy, almost like a mud mask. It gets absorbed easily and sometimes I have even used it as an overnight mask. About the effect: freshness, radiance, rehydration, smoothing out of fine lines and wrinkles is what Clarins website promises in the product description. I did´t notice any of the above. Yes my skin feels smooth after usage, but no different from when I use my normal day cream, so no extra hydration which is what I want from a mask. Makes your face feel softer. Those blackheads are still there despite me using this mask 1-2 times a week for a month. No change at all. I have big scary blackheads on my nose and forehead, and I use two strategies against them: to not look in the mirror too closely and try all products out there promising to make them go away. This mask made my face feel very clean and soft, but It didn’t reduce the amount of visible blackheads on my nose, despite me applying a generous layer and using it 1-2 times a week for a month. Also after taking off the mask my skin felt very sensitive, like it was about to break out. The mask is very easy to apply since it has a very light consistency, differing it from other clay masks. It smells ok too, and to remove it is not a struggle, which is a plus. But Im still left looking for help against those pores, if you have any tips please email me!